Our creation of Radiator Springs was a hit at the D23 Expo 2015, and is now housed at Sarge's Surplus Hut at Disney California Adventure theme park. 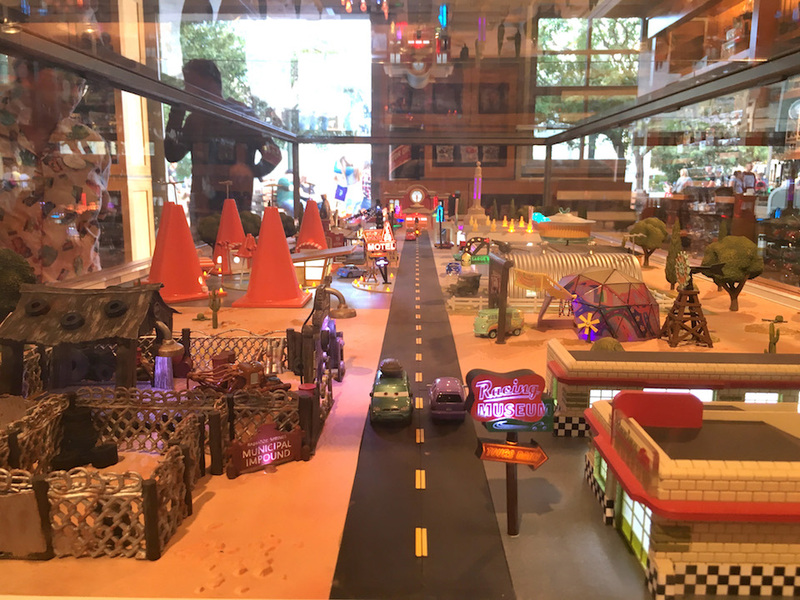 In a joint effort with the very talented folks from Disney-Pixar and Mattel we created an amazing replica of Radiator Springs from the beloved movie Cars for Disney’s D23 Expo that took place in Anaheim a couple years ago. This stunning model is now on display at Sarge’s Surplus Hut in Cars Land located inside Disney California Adventure theme park. 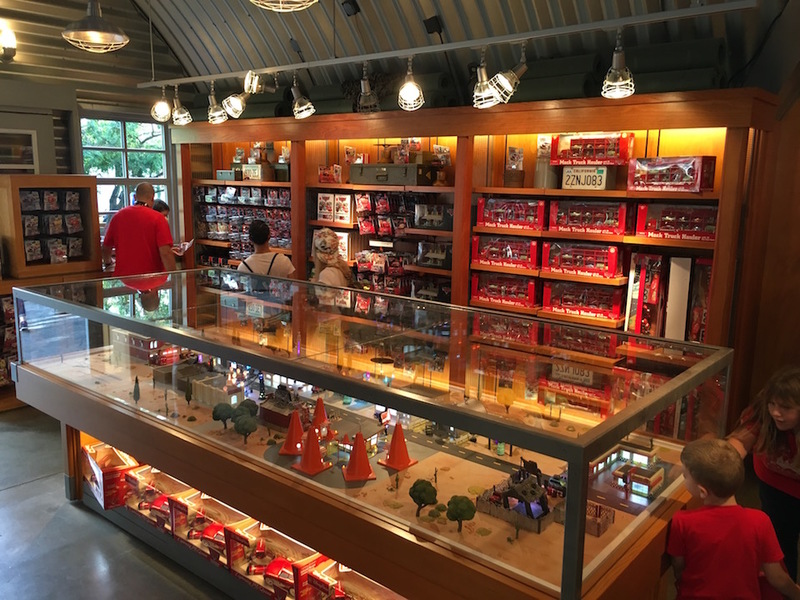 With Mattel heading production, Disney-Pixar will be adding to their "Precision Series line" a premium, limited edition, high-end collection of the different buildings and familiar structures located in Radiator Springs. These buildings and structures will be released periodically over the next several years starting with Flo’s V8 Café and Filmore’s Taste-In. 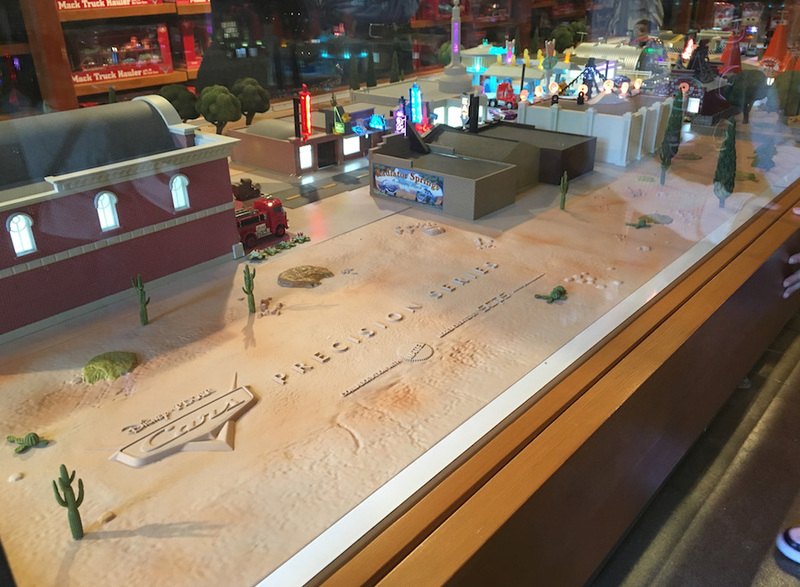 The large model of Radiator Springs showcases not only the two collectible sets currently in production, but also the structures that are yet to come, most of which have not yet been designed. That’s where we come in. Our digital artists worked hand in hand with Disney-Pixar to capture the authentic, detailed look of all the buildings and structures in Radiator Springs by dissecting the movies and visiting California Adventure to match color swatches and hone in on the final look. We designed and modeled the preview units and worked with the trio to create a “puzzle” system for the town. Every section is modular and plugs in to the base to create the Main Street and surrounding area, feasibly allowing for alterations of sections, if need be. 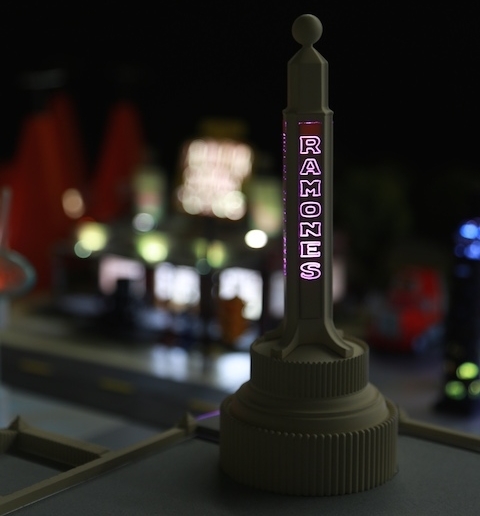 Once the design phase was complete, we 3D printed the parts, assembled and painted the structures, and wired all the lights and neon signs, programing them to come on in the same sequence witnessed in the first Cars movie when the townsfolk spruced up Main Street. What a sight! When you get the chance, cruise by low and slow and check it out! To see a YouTube video presented by Disney Resorts of the model inside Sarge's Surplus Hut, click here.